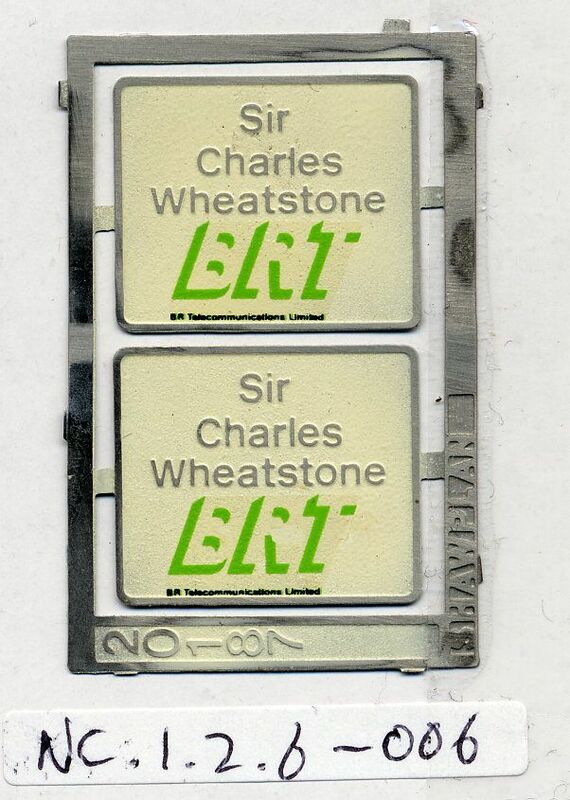 Full Description: A pair of embossed and enamelled name plates for a toy British Railways loco, with the name “Sir Charles Wheatstone” upon each. The makers’ name is HawPlan, no 20187. There are images of the “ Sir Charles Wheatstone ” locomotive in the Collection, and also a Phone Card bearing the same nameplate.